Find the best TESOL / TEFL jobs in Taiwan! High-paying English teaching jobs in Taipei and surrounding areas. Teach English in Taiwan and travel! One of the best reasons for choosing Taiwan as your teach abroad destination is that the salary is high and the cost of living is low, so you can save money and travel or pay your student loans! 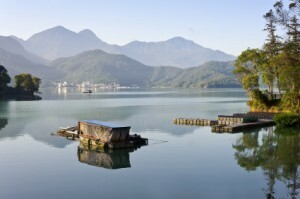 If you are an adventurous ESL teacher in Taiwan, then you must visit Sun Moon Lake. Here you will find 6 astonishing theme parks, including a natural park, a peacock park, and a butterfly park. A number of beautiful temples are present at Sun Moon Lake, the prominent ones being Syuanzang Temple, Civil and Military Temple, and the Buddhist temple located on the mountain slope north of Sun Moon Lake. There is a Mid-Autumn festival in which a special swimming competition, a fireworks show, a laser show , and various music concerts take place. Taiwan is a great place to TESOL. Beautiful, kind, and very welcoming to new TESOL teachers. Take a recognized TESOL certificate and earn over $1,500/month plus accommodation and other benefits. There are a number of magnificent historical sites, each with different architectural styles, in this amazing city. You can visit Dan Shui, a beautiful seaside town which was once ruled by the Spaniards and the Dutch. The CKS Memorial Hall is of great importance. It was built in the memory of Chiang Kai Shek, who was a very important military and political 20th century leader. 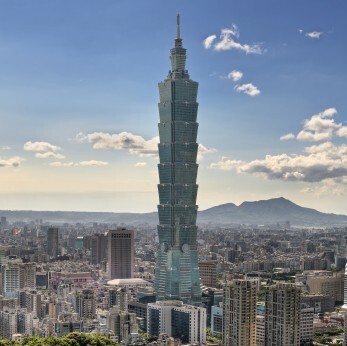 Taipei has grown at a very fast pace during the past decades and its economic might is visible on the Taipei 101 tower, the tallest building in the world from 2004 to 2010 and a real architectural wonder. For those who love live performances, The National Theater and Concert Hall at Liberty Square host a number of events. Other leading venues include Zhongshan Hall and the Sun Yat-sen Memorial Hall. One of the most beautiful festivals is the Lantern Festival, which is celebrated on the fifteenth day of the yuan month. The beautiful paper lanterns illuminate the city are a spectacle. This is also a great time for making fun and artistic lesson plans if you are teaching English to children. Teaching conditions in Taipei are very good. Schools pay anywhere between $1,500 to $2,500 per month plus accommodation and other benefits. Teaching experience is not required for entry-level jobs, but a TESOL certificate of 100 hours or more is a must. Taking an advanced TESOL certificate course such as TESL Canada or Trinity CertTESOL is highly recommended. TESL Canada certification can be pursued online online TESOL courses. Taiwan offers ESL teachers an amazing and an unforgettable experience. Wages are high for those who hold a TESOL certificate, while the cost of living is very low. Teachers can afford delicious foods and travel often to some of the most beautiful beaches in this world! Taiwan is situated off the east coast of Asia, east of mainland China. As a result, Taiwanese cuisine is inspired by the areas of mid to southern mainland China. The climate is subtropical, with moderate temperatures in the north.